Barley is a versatile grain. It makes a pilaf that is damn near as good as risotto, except you don’t have to stir! It’s gorgeous in a gratin and adds weight to salads, stews and casseroles. 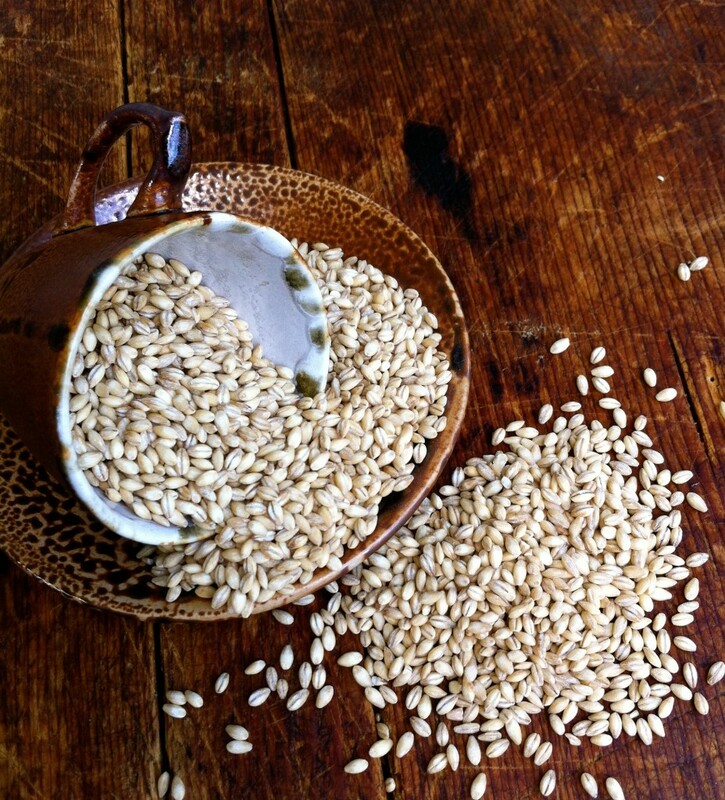 As a guide, 1 cup of raw pearl barley requires 2¼ cups of water to cook and makes approximately 4 cooked cups of barley. Rinse any dust off just before cooking. Cook barley on the lowest setting you can, covered with a lid, for about 45 minutes until sort of tender – it should still have a nice little chew to it. Hulled barley is the most nutritious form – it’s actually a super-food (one of those foods that provides numerous health benefits) and is known as a whole grain. Hulling removes only the outermost hull of the grain, leaving all the nutrients intact. Hulled barley needs soaking, which will shorten the cooking time, and takes around 1½ hours to cook; you will need to increase the water content as well. The most common form of barley is pearled barley (pearl barley). The outermost hull is polished away, making a product which is quicker to cook and less chewy to eat, but the bran layer is usually removed, and sometimes the endosperm, reducing the nutrients. Look for coarse grains rather than clean and perfectly polished ones because they will contain more goodness.